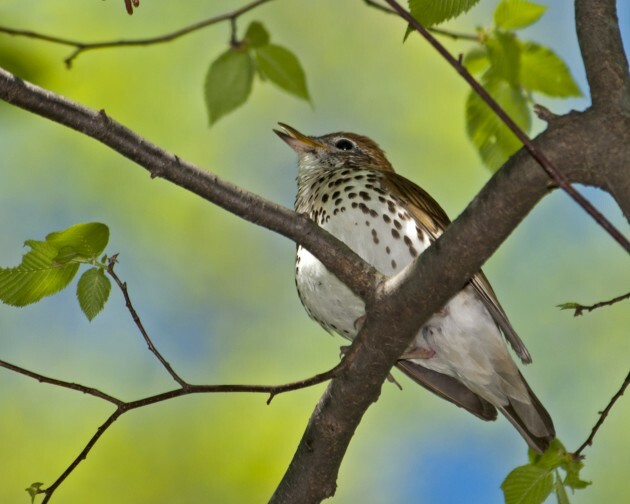 For the past 50 years, the number of wood thrush (Hylocichla mustelina) that breed in the United States has decreased more than 60 percent. However, because wood thrush migrate thousands of miles each year between their breeding grounds in eastern North America and wintering grounds in tropical forests from southern Mexico to Colombia, scientists have had trouble pinpointing which part of the iconic species’ annual migratory cycle is causing that decline. Scientists from the Smithsonian Migratory Bird Center (SMBC) at the Smithsonian Conservation Biology Institute (SCBI) have found that the steepest regional declines have likely been the result of loss of habitat on breeding grounds in North America. “Researchers have long suspected that forest loss in Central America has been the primary driver of wood thrush declines because the rate of forest loss in much of those countries is far higher than the rate of forest loss in North America, where the birds breed,” said Clark Rushing, an SCBI postdoc and primary author of the study published Jan. 27 in Proceedings of the Royal Society B. “While habitat loss in Central America does play a role in the observed declines across the species’ breeding range, we were surprised to find that loss of habitat on breeding grounds in North America seems to be contributing even more to the declines in several wood thrush populations. 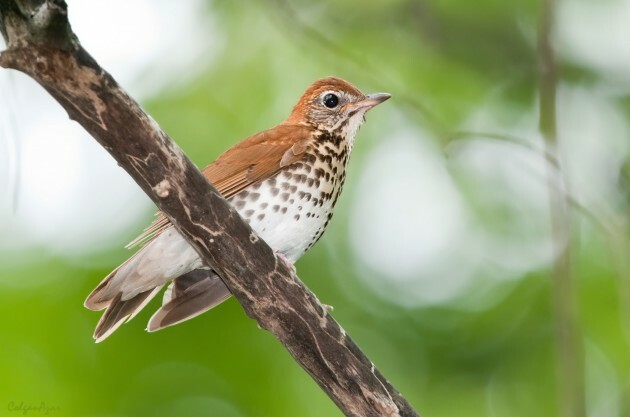 ”The study also found that when individual wood thrush overwinter in southern Mexico and experience low-quality habitat as the result of dry winter conditions, they may be less successful at reproducing when they come back to breed the following year. Scientists call this cause-and-effect a “seasonal interaction,” and this paper provides strong evidence of seasonal interactions driving declines at the population level. Although the diverse patterns revealed by this study paint a complex picture of population declines for wood thrush, ultimately the research will help conservationists determine whether to focus resources on breeding or wintering habitat for specific populations. Using these results, SMBC is working as part of the Wood Thrush Conservation Alliance to develop a conservation plan to guide on-the-ground management for wood thrush. SMBC has been studying wood thrush for more than five years, but could only begin to piece together this piece of the puzzle recently thanks to satellite data, GPS geolocators and advances in remote sensing technology. The third author on the paper is Brandt Ryder, also with SMBC.